I don’t discourage DIY piano work. 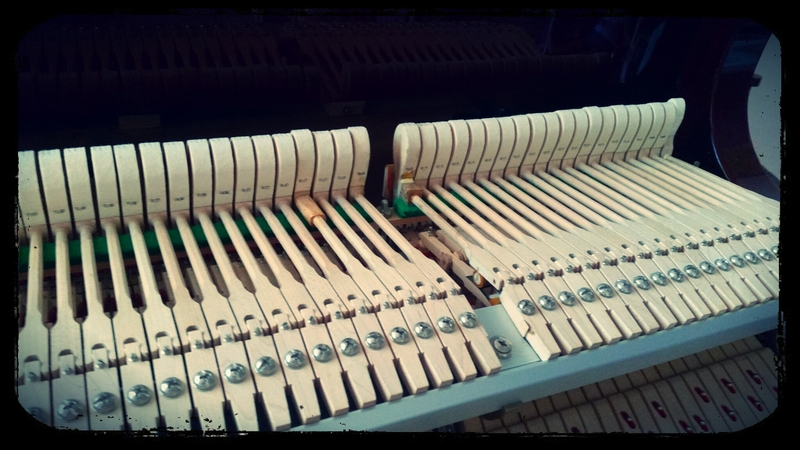 In fact, I think it’s a great thing for piano owners to learn more about their instrument and even do repairs when they feel comfortable doing it. However, there are some potential pitfalls and it pays to be aware of them in advance. One of the most common accidents when working on a grand piano: pulling the action out without keeping a close eye on the hammers, and snapping off a hammer that was sticking up too high. The previous owner of this piano had done all the work on it himself, and while most of it was decent work, there were three different hammers that had been broken off in this way. They were all repaired, but unfortunately the repairs were causing other problems since they, as well, were each somewhat experimental. So, by all means, learn more about your piano and try your hand at tuning or repairing…but only after doing your research. And if accidents do happen, make sure they are properly repaired.